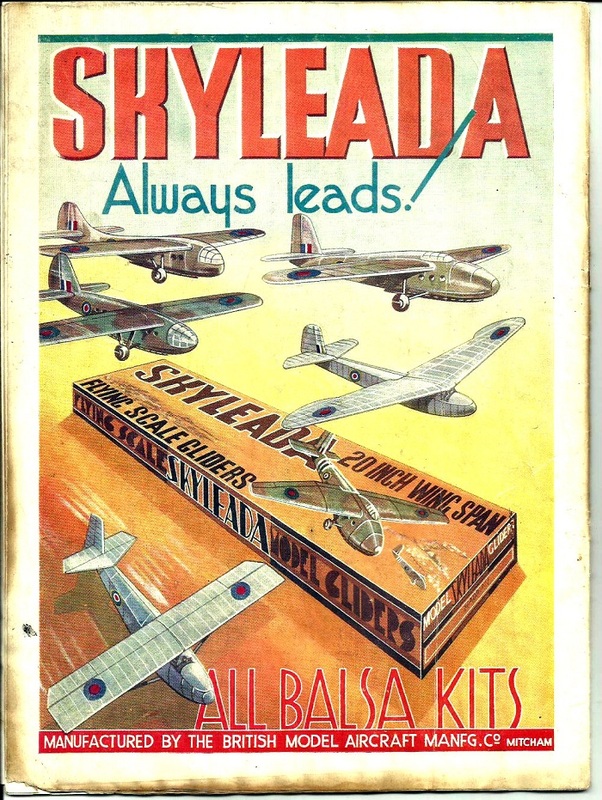 Before Simon Rogers told me about these plans, I had no idea that Skyleada had released a range of kits for flying scale gliders in the 1940's. With the current interest in promoting a kit scale glider event at the 2014 BMFA Indoor Scale Nationals, these lightweight designs might be just the ticket. The shapes are obviously somewhat simplified, and the structure sparse - probably a bit too fragile for outdoor flying, but should go well in a sports hall. Simon supplied three of the range of six plans - if anybody has any of the remaining three, I would love to hear from them. Thanks to Steve at Outerzone for sorting out and cleaning up the pdf files. All three plans are single sheet pdfs, which can be tiled and printed on whatever size paper you have in your printer when using Acrobat version X or higher - just select the "Poster" option.